At the heart of the Blue Planet, "Océan de Lumière" is a truly universal tribute to the magnificence of the ocean and aquatic people living there. A remarkable musical work, crystalline and full of light, expressing the infinite love and invites us to an inner journey of great beauty. Let yourself be carried by a magnificent music where the soft murmur of the ocean, and the song of the dolphins and whales seem to come from heaven like angelic choruses of perfect harmony. We are pleased to make you discover it on Radio PLENITUDE, every day, from september 28 until october 11, before it enters in a regular programming. Sérénité by Michel Pépé, listening on Radio PLENITUDE from august 31, 2018. 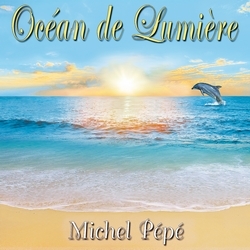 La Pureté de l'Esprit by Michel Pépé, album september 2016, listening on Radio PLENITUDE from october 12, 2016. Natura Mystica by Will Dorf, new album september 2014 listening on Radio PLENITUDE from october 11, 2014.